At Norwegian Cruise Line, the safety and security of our guests and crew is of the utmost importance. Therefore, the company is closely monitoring the paths of Tropical Storm Iselle and Hurricane Julio in the Pacific. Pride of America departed Nawiliwili, Kauai on Thursday at 7 pm and is spending the day at sea. The ship is expected to dock in Honolulu on Saturday morning. At this time, we anticipate embarkation for Pride of America’s August 9 sailing will take place as scheduled. Should there be any updates, they will be immediately posted here. Two Hurricanes in the Pacific ocean are affecting Pride of America itinerary which is the only ship forced to make changes. Pride of America is currently on a 10-day cruise from Honolulu and the next scheduled cruise is not expected to be delayed/ NCL will watch the developing storms and release any new updates. Hurricane Iselle is currently moving west towards Hawaii and there are already Hurricane warnings in effect. The storm is predicted by NOAA to become a tropical storm within the next 36 hours. 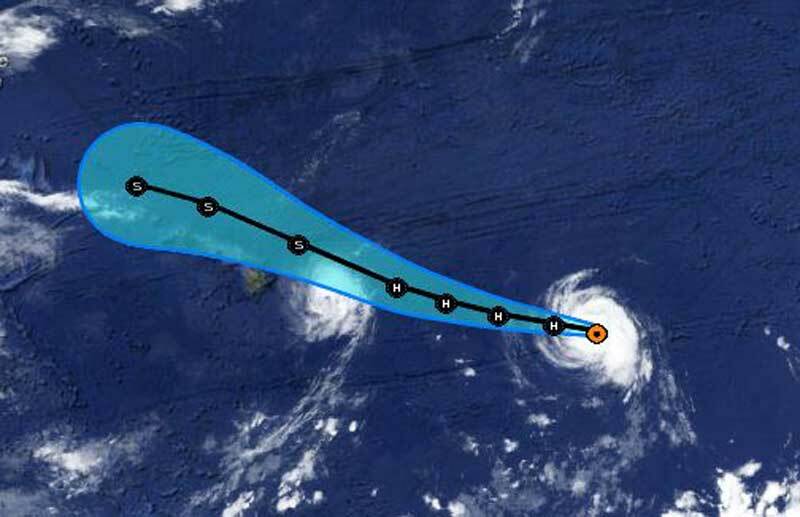 Hurricane Julio has maximum sustained winds of 105 mph and is also moving west towards the Hawaii islands. Norwegian Cruise Line is the only cruise line operating in the region so there wont be any other affected cruise ships but smaller vessels and boats are still at risk from strong winds as the storms get closer.